Roof certification is a critical part of a home buying process, given that one of the thorniest hurdles is always a worn-out roof. With roof replacement being one of the most expensive home repairs, lenders tend to avoid properties with marginal roofing. More so, Kenyan home buyers are today more focused on reliable mabati. A roof certification is a warranty issued by a roofing contractor giving proof of the condition of a roof, and the guarantee of a long life. Many times, roof certifications are requested by lenders and homeowners insurance company. A roofer thoroughly inspects the condition of the roofing materials, ridges, drip edges, caps, downspouts, gutters, flashing around roof pipes, vents, chimneys, and HVAC mounting units. If no repairs are needed, the roofer then estimates the remaining years of life to certify the inspection. There are certain factors a roofer takes into consideration before certifying a roof. These may include the following. Most mabati especially wood shakes will need repairs every ten years. Metal roofs, on the other hand, can last for 50 or more years depending on the manufacturer when there is no foot traffic. This is because weight can lead to cracking and breakage. Seller disclosures are necessary when looking for certification. Failing to disclose previous repairs could lead to the denial of certification. A roofer will want to examine a previous repair to confirm it was done correctly and will not lead to future problems. Proper evaluation ensures damages by rodents, weather, or other elements are spotted to allow you plan for timely repairs. Sellers are advised to provide roof certification for buyers during a home buying process. Unfortunately, most of them do not, and also many homebuyers do not prioritize it when buying a home. Buyers need to recognize that failing to get a roof certification from the seller could easily get them into unplanned roof repair or replacement in the near future. It is necessary that sellers also consider adjusting their selling price in line with the condition of the roof. When selling, buying, or remodeling a home, you need to be aware of the value of a high-quality roof. Standing seam metal roofs, for instance, have been popular in Kenya for their aesthetics and long-term performance characterized by durability, low maintenance, and strength. Consider purchasing your roofing materials from a credible roofing company. Metal roof is incredibly popular for its longevity, beauty, and durability. Unfortunately, most homeowners lay little or no emphasis on having the roof periodically cleaned. Notice that your roof is about 30 percent of your total home cost, making it a vital duty for you to ensure it is in good shape to keep your home running efficiently and also boost its value. Just like other roofs such as asphalt, metal is also subject to dirt and debris. The only difference is that metal does not stain from algae or grow moss frequently. Stick to a cleaning schedule if you truly expect the longest life out of your metal roof. Taking up a DIY cleaning process on any type of mabati in Kenya can be hazardous. Do not assume that simply using a power washer or hose pipe to clean your metal roof is all you need. Notice that a hose pipe does not carry enough strength to properly wash off all the dirt on your roof especially if it has seen many years without cleaning. On the other hand, a pressure washer could potentially cause corroded areas to face more damage or even dent the metal. The best deal is to get to the top of the roof for thorough cleaning. Remember, metal unlike other roofing materials tends to be a little more slippery. What is the current condition of the roof? Does it require a lot of effort to prep and clean? Carry out a thorough inspection because metal roofs can harbor corrosion which can cause weakening, and this can be dangerous for you as you clean the roof. The seams may also have sharp edges, and this can be hazardous for you. If such is the condition of your roof, you may want to involve a professional roofer as you make plans to invest in a better roofing material. Although old mabati that have been properly maintained call for less labor, there still may be old paint that needs to be removed. If yours is a new roof, you certainly need very little effort to clean. Keep it in mind that some roofs, depending on the size of your property take up to three hours to clean. Before getting that cleanser on your roof, test it first on an inconspicuous part of the roof to ensure the painted surface will not be streaked. If your painted roof has algae or mold, change the PH of your cleanser for an effective process. Understand that living organisms survive at the current PH level, and therefore raising it can cause them to die allowing you to completely eliminate the organism from your roof. Elements such as salt, ammonia, and vinegar will change the PH level. Be sure to use only one substance not all together, and then mix with water. Spray your roof with the mixture and allow it to sit for about one hour. Then, clean the entire roof with a soft-bristled brush and rinse off with water. Different substances can easily build up on your roof if it stays for long without being cleaned. Road dirt, tree sap, decaying leaves, among others can find their way on your metal roof and stain it. You can get rid of most of them by mixing a gallon of water with about half a cup of trisodium phosphate. Allow the substance to sit for about an hour on the surface of your entire roof, and then use a soft brush to clean and rinse off with water. A dirty roof can negatively impact your resale value and curb appeal while harboring corroding materials that could cause your mabati to rust. Keep your mabati functioning optimally by having them cleaned periodically. Is a Gutter Protection System worth Installing? A roof protection system is designed to protect your gutters and allow rain water to flow easily without stashing leaves and other debris in your trough. Why is a Guard Important to you as a Homeowner? Debris are known to clog gutters and downspouts. In such events, the excess water would be more likely to fill up the gutters and lead to an overflow effect over the front. In many cases, the water begins to flood behind the gutters causing the fascia to get wet, and this eventually leads to pool formation around the foundation, rotten wood, and damaged landscaping. In fact, the clogging can go to extremes where mold starts forming on the roof, and the paint begins to chip off. The most important part of your roof system is the gutter. Without it, your roof would not have the capacity to channel rainwater efficiently, and this could result in foundation shifting, window leaks, roof leaks, and deterioration. Therefore, it makes sense to have your roof properly maintained and protected. Note that leaves easily clog gutter troughs and this is the key reason systems are rendered useless. You can, however, protect your roof from such hazards by investing in a gutter guard. Gutter guards play a significant role in protecting your guttering system and keeping it functioning at its best. It is especially helpful in Kenya as most homes are constructed near trees and bushes thus exposing the roof to leaves and debris. When the foreign elements find their way into the trough, water flow is stopped, and clogging occurs. Normally, your roof slope would route water into the trough and finally to a downspout. However, when it is clogged, the excess water is likely to spill over or accumulate at the gutter’s lip, and this could cause the roofing deck to infiltrate. Backsplash is also known to leave mud stains on the siding. The most worrying threat to clogging is when the ground begins to soften around the foundation as this could lead to a shift. finally to a downspout. However, when it is clogged, the excess water is likely to spill over or accumulate at the gutter’s lip, and this could cause the roofing deck to infiltrate. Backsplash is also known to leave mud stains on the siding. The most worrying threat to clogging is when the ground begins to soften around the foundation as this could lead to a shift. Gutter guards are metal grates designed to sit on the lip of a gutter. The guard lets water in and stops the invasion of foreign elements. With properly functioning gutters, you save a lot from not having to seek for repairs on leaks or foundation problems. This is why a gutter guard should be a priority when it comes to upgrading your home in any part of Kenya. A professional gutter installation expert should suggest the best fit for your roof. Remember, it is not enough to invest in a gutter protection system without first paying attention to the type of roof above your head. Ensure you also invest in quality mabati to ensure you get the best services and low maintenance for more than five decades. If you feel it is time to have your roof upgraded to a quality material such as metal, contact a reliable and certified metal roofing company such as Royal Mabati Factory Limited. 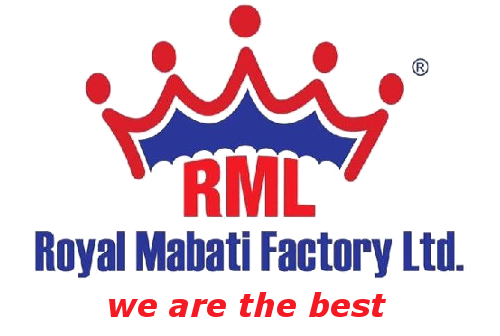 Beyond walking away with high-quality mabati from RML, you also get any shade of your choice and enjoy great customer service. For more details, visit www.royalmabati.com. For a homeowner, a brown spot on any part of the ceiling or the roof is bad news. It could mean that a leak exists and could cause damage before you even see the evidence. To protect your home’s structural integrity, it is vital to take great care of your roof. Most Kenyan residential roofs are covered with fiberglass or metal shingles. These materials are easy to install and play a great role in repelling water. Depending on the grade, fiberglass has a guarantee of about 20 to 30 years while metal can last for more than 50 years. It means that the type of roofing material used has a limited lifespan. Therefore, it is important that you first familiarize yourself with the grade of shingles and know when the roofing was installed. When purchasing a home, the seller should tell you when the roof was installed. However, it is advisable to hire a home inspector for a professional assessment of the condition of the roof and get a clear range of the number years left for it to be replaced. You will want to be sure there are no chances of being blindsided by brown spots on the ceiling. Have the inspector tour the house to look for missing shingles as that’s an obvious sign of an underlying problem. Note that metal shingles should have a shiny surface therefore if they appear dull it could be a sign of wear. It is also a bad sign if the edges of the shingles appear curled. Curling signals replacement of the roof because once this process begins, it cannot be reversed. If the shingles are cracked, you will have to replace them before moving into your new home. Cracked shingles can easily break further damaging the roof. Moss growing on the shingles should not be ignored as it is a bad sign. When it thrives on the shingles, it means there is enough moisture to support the growth. Sealing with tar is just temporary and does not guarantee a permanent solution. Once you decide to have the roof replaced before settling down, get several estimates ensuring the quote given includes the costs of removing the old shingles and disposing of debris. It was a common practice to see new shingles nailed in over the old ones in the recent past. Today, however, professional roofers will not have new shingles replaced before removing the old ones. In fact, this is a practice that may void manufacturer warranties. What you pay for your new roof materials will depend on a lot of variables such as the number of layers currently on the roof, the pitch and the square footage of the area to be worked on. Like most homeowners, you may be tempted to purchase cheaper materials in order to cut costs. However, understand that the amount may be lower upfront while with time you may have to undergo high costs as a result of numerous repairs and quick replacement. As a homeowner who intends to live in a newly purchased property for decades without the need to repair or replace the roof, it is wise to invest in quality metal roofing from a credible manufacturing company. Gutters play a major role in protecting your property. However, when they are damaged or old, the systems may fail to divert rainwater and this could lead to costly problems such as ice damming or rotting interior walls. Normally, gutters made from aluminum or galvanized steel tend to last for two decades, while those made from copper can last for about 5 years. However, this period may not necessary account for damage or falling tree limbs/foreign objects. So, here are the signs to look out for. 1. Broken fasteners: Fasteners are the pieces of metal designed to hold the gutters against the roof. The fasteners can be repaired, but if the problem persists there could be an issue with the gutters. 2. Separated Gutters: Gutters only function when fastened together in one channel. If you notice they are separating from each other frequently, it may be time to have them replaced. 3. Screws on the ground: The screws that fasten your gutters to the fascia may at times work themselves loose. When that is the case, the easiest solution would be to have them replaced. However, repeated instances call for a full gutter replacement. 4. Rust spots or large cracks: Cracks can quickly be fixed using flashing or some sealant. However, if there are many of them or rust spots, replacing the gutters would be the most reasonable solution. 5. Poorly-pitched or sagging gutters: Without a proper pitch along the gutter, water tends to form a pool in a particular section within the system and may spill over. If you experience difficulties fixing this problem, it may be necessary to replace the gutters. 6. Gutters pulling away from the roof: When you notice spaces appearing between your roofline and the gutters, hammering in the fasteners may be the fastest and easiest remedy. However, when this continues, it could be a sign that your fascia boards are rotting. Replacing the gutter would permanently fix the fascia problems. 7. Pooling water/dirt channels: After heavy rains, you may notice spilled water over your gutters. If you try fixing the problem but the water does not go away, have the gutters replaced. 8. Peeling exterior paint: Water tends to seep through the rear edge to the siding the moment gutters pull away from the roof. When you notice the paint peeling it could mean that water has been getting to your siding for a while and the gutters should be urgently replaced. 9. Flooded basement: With a constant flow of water near the foundation, the chances of it leaking into the basement and causing costly damage increase. Before repairing your basement, have the gutters replaced. 10. Eroded landscaping: If you notice water channels forming in your landscape, it could be a sign that your gutters are failing and need replacement. Take away tip: When replacing your gutters, think about having a gutter protection system installed too. It is one way to be certain that the system will last for as long as it is designed to. Remember, good gutters combined with high-tech mabati will give you the peace of mind you need. For more details, visit www.royalmabati.com.